With high quality sheet-fed, web and digital printing, we cater to a wide range of commercial clients from small local companies to larger regional, national, and international accounts. 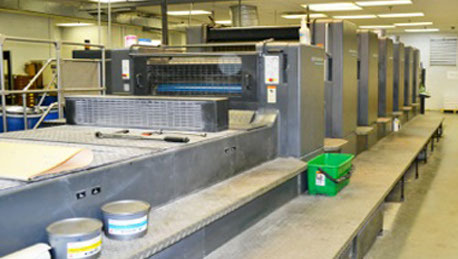 Other services include Digital Printing, Variable Data, Optional Stochastic Screening, and Custom Die-Cutting. Contact us and take a tour of our two locations to see the magic for yourself! Let Professional Printers be your packaging partner! We can kit, pick and pack, store and fulfill your print materials, as well as provide specialty die cut packaging for your products. With 300 tons of cutting pressure, the Varimatrix can handle board stock up to 36 points thick, making it ideal for packaging. 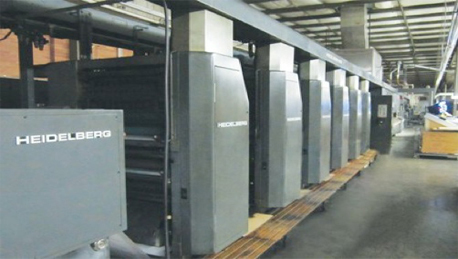 Its continuous feed and delivery is rated at 7500 sheets per hour even while scrapping the unused portion of the sheet to be recycled. Need inspiration for your next die-cut layout? Browse our Dieline Catalogs, Vol 1. and Vol 2. As a leader in digital production printing, HP Indigo is at the forefront of environmentally sustainable printing. Waste, time, and energy are saved through a number of efficiencies with HP Indigo digital printing. We provide full mailing services with a knowledgeable staff to help trim postal costs, target your customers more accurately, and keep you up to date on the latest postal requirements. Visit Every Door Direct Mail® and use their online mapping tool to reach your potential customers more efficiently. Send us your mail list and we'll take it from there! We take individual pieces and neatly package them into custom mailing components. Combine promo items like t-shirts, with printed materials into custom boxes and envelopes. Add a pocket folder with business card slits to your package. The combinations are endless! Contact us today! Need space for your products, promo items and printed materials? Click below and create a new account to view our demo store! A little inspiration goes a long way! Sometimes you just need to feel and hold that inspiration. Whether it’s perfect bound books, pocket folders, or unique print items with foils or die-cuts, we have samples waiting to send to you! Already a customer? Contact your Sales Representative or Account Manager to receive your sample box!